What do I think about first when it comes to Spring? 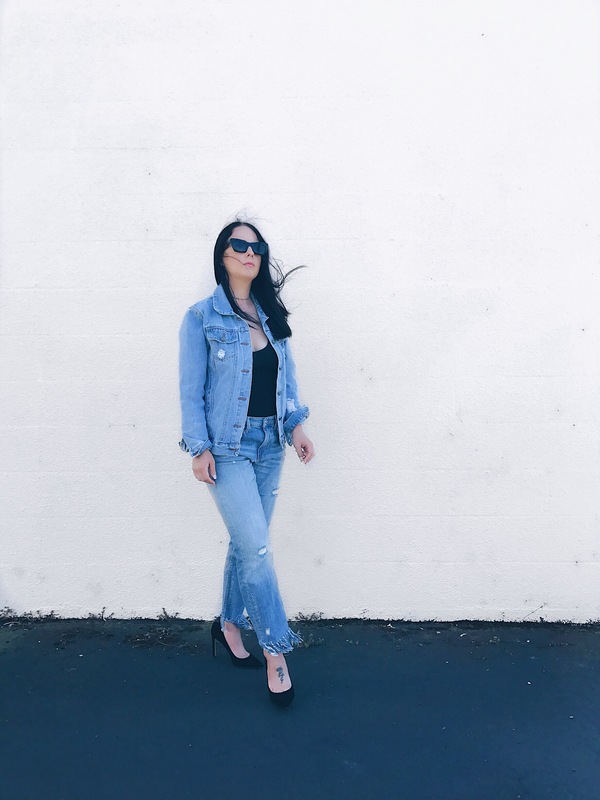 Denim is my go to for the Spring / Summer season. The hottest trend right now for jeans is the boyfriend style. Relaxed and oversized this trend is refreshing after seasons of the skinny leg. You have to check out this Zara jean, they are under $100 and they are so soft and comfortable. Normally, I buy designer jeans for the feel but these feel just as good as a $200 pair. I really like now they have embroidery, which is definitely trending right now. I didn’t notice the lettering until my second time wearing, and it makes me love this jean even more. Another factor that is really cool right now is the fray at the bottom. The fray is what sold me on the jeans in the first place. The jeans are the star of this look so I accessorized with a black pointed toe shoe and a black bodysuit. I got the denim jacket on eBay a couple of years ago and it matches the jeans perfectly. What do you think of first in your Spring time wardrobe? These jeans are amazing! I love the embroidery detail! Hey Girl, Really love that gorgeous denim combo, wanted to get that look for myself for ages. Looking awesome! Thanks for sharing! You blog is so cool! Me chiflan los looks tan sencillos y con tanto rollo, estas guapísima. Love this denim look! Your jeans are gorgeous! I love your total denim look!